Dr Emma Roe is a social and cultural geographer often found working in the spaces of transdisciplinary research. She is an Honorary Research Associate at the School of Veterinary Science, Faculty of Health Sciences, University of Bristol. 2017- present Associate Professor in Human Geography, Geography and Environmental Science, University of Southampton. 2004-2007 Research Associate on EU FP6 WelfareQuality® research project, School of City and Regional Planning, Cardiff University. 2007-2016 Lecturer in Human Geography, Geography and Environmental Science, University of Southampton. Cross-species comparison of ethical practices of consent and welfare in clinical drug trials. Post-phenomenological interpretations of video empirical material. Dr Emma Roe is a leading trans-disciplinary scholar developed from her core concerns in more-than-human geographies. She is comfortable working with those outside her discipline (veterinary science, food science, health science, rural studies, anthropology, sociology and economics). She has extended her work within food and agricultural studies to study human-animal relations through supply chain practices and animal care practices in the spheres of farming and laboratory animal research. Her theoretical and methodological interests develop across these two major research themes. 1 How both the material form of the animal’s body and the life it lives places particular demands on and possibilities for the food industry’s product innovation practices. 2 Research projects with animal scientists which seek to understand the barriers and challenges farmers face in taking-up veterinary advice that would improve the welfare of their animals. Secondly, and related, she is interested in how ethics is carried out in practice. This finds its empirical focus in how ethical relations with living animals are performed through care. Two relationships are currently studied – that between a careperson/stockperson and food animals, and the junior animal laboratory technologist and animals used in medical research experiments. In both sites society holds expectations about the standards of care animals should receive, whether it is animals sold as raised with higher animal welfare standards or confidence that animals experience minimal suffering when used in medical research experiments. Thirdly, she is profoundly fascinated by human-matter-body relations. This fascination she engages with to understanding how the highly heterogeneous forms that matter gives itself to humans shapes what humans do with it. To give one example, she is interested in how the animal body is broken down into differently valued meat products by the meat industry and how this goes on to shape the impact meat production and consumption has on human health, the environment and farm animal lives. Ultimately, the fascination here is on how object-object relations found when you mine an animal carcass for meat, drive particular forms of commercial product innovation to handle an excess of less-favoured matter to eat. Fourthly, she is curious about how people can engage with foodstuffs not as ethical consumer within a value-added quality-driven food retail environment, but rather as ecological citizens. This research interest is in its early stages and so far has explored how performance art can engage people to relate to food not as consumers but as ecological citizens. Exploring how people who receive emergency food aid can perform the role of ecological citizens, when to be an ethical consumer is beyond their financial grasp, is one avenue of research. Her work has received research funding from the UK Economic and Social Research Council, UK Arts and Humanities Research Council, the European Commission, the British Academy, the Wellcome Trust, the Animal Welfare Foundation and the University of Southampton. She has written numerous peer-reviewed journal articles, book-chapters, reports and short articles. She has presented research findings to academic and non-academic audiences, nationally and internationally, including laboratory animal technicians, the food industry, farm veterinary professionals and the arts-design community. 2017-2022 Co-Principle Investigator Project 3: Managing breeding, biobanking and rehoming networks – Laboratory Animal Research Nexus. With Davies, G. U of Exeter (Lead), Greenhough B. U of Oxford, Pru Hobson-West, U of Nottingham, Rob Kirk U of Manchester. Wellcome Collaborative Award. £1.6Mn (£267K to University of Southampton). 2017-2018 Principle Investigator with Goodway M. The Matthew Tree Project, Sayer S. Windmill Hill City Farm. Man food: exploring men’s opportunities for ‘Becoming an ecological citizen’ through protein-related food practices. Arts and Humanities Research Council. £68,528 (80% FEC). 2016 Food retail supply chains and AMR: Scoping workshop with Food Standards Agency. With Lowe, M, Wrigley N, Hughes A, Cherret T, Keevil B and Leighton T. Supporting funds from Food Standards Agency (£5050); NAMRIP (£4500) and ESRC Impact Acceleration Account (£2500). Sept – Nov 2016. 2015-2017 Co-Investigator and Leader of theme: Behaviour within and beyond the health care setting NAMRA – Network for Antimicrobial Resistance Action. With Professor T. Leighton (PI), Keevil B., Eason R., Huang Y., Read R., Wood R., Attard G., Frey J., Voegeli D. Engineering and Physical Sciences Research Council £868,704 (80% FEC). 2014-2017 Co-investigator with Reyner K*. (PI), Main D*., Whay B*., Roe E., Haase A**., Scrase A*. Improving dairy cattle welfare: promoting uptake of veterinary advice. £109,816 *Veterinary Science, University of Bristol **Policy Studies, University of Bristol. 2013-2015 Co-Principle Investigator with Dr Beth Greenhough, Queen Mary University of London on ‘Exploring how laboratory animal technicians put ethics into practice’. Wellcome small grant £5,000. Principal Investigator 'Negotiating post-Mao natures: a recent history of NGO involvement in improving farm animal husbandry in China' British Academy Small Grants Fund £5,530. 2007 - 2008. Principal Investigator. Cross-country study of welfare-friendly foodstuff in the food service sector. Work carried out in Norway, Italy, UK and the Netherlands. Includes product innovation work with Sodexho. 114,000 euros (30,820 euros for UK work). 'Funding from EU Welfare Quality project'. Jan-Dec 2007. Emma is BA Human Geography Programme Leader. 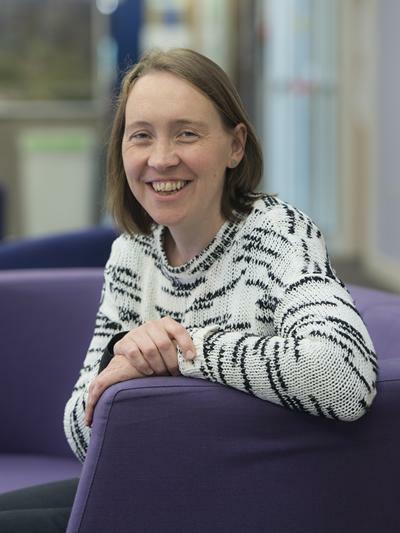 Emma is on the steering committee for the USRG NAMRIP (Network for Antimicrobial resistance and infection prevention) and EPSRC funded NAMRA (Network for AntiMicrobial Resistance Action) representing the Faculty of Social, Human and Mathematical Sciences. Emma’s on the UK Food Standards Agency register of Social Scientists. Emma is currently supervising PhD candidates James Gott (NERC Spitfire studentship), Julia Walker (ESRC studentship) and Thomas Dekeyser (University of Southampton Studentship). Buller, H., & Roe, E. (2018). Food and Animal Welfare. (1st ed.) (Contemporary Food Studies). Bloomsbury Academic. Roe, E., Veal, C., & Hurley, P. (Accepted/In press). Mapping microbial stories: creative microbial aesthetic and cross-disciplinary intervention in understanding nurses’ infection prevention practices. Geo: Geography and Environment. Roe, E. (2013). Global carcass balancing: horsemeat and agro-food network. Radical Philosophy, 179, 2-5. Wilson, M. W., Hickey, M., Craine, J., Fawcett, L., Oberhauser, A., Roe, E. J., & Warkentin, T. (2011). Cyborg spaces and monstrous places: critical geographic engagements with Harawayan theory. Cultural Politics, VIII(A), 42-67. Roe, E., Buller, H., & Bull, J. (2011). The performance of farm animal assessment. Animal Welfare, 20(1), 69-78. Roe, E., & Higgin, M. (2008). Ethical consumerism. How are caterers coping? Food Ethics, 3(4), 4-7. Bastian, M., Jones, O., Moore, N., & Roe, E. (Eds.) (2017). Participatory research in more-than-human worlds. (Routledge Studies in Human Geography). London: Routledge. Buller, H., & Roe, E. J. (Eds.) (2011). Certifying quality. Negotiating and integrating animal welfare into food assurance. (Welfare Quality Reports; No. 15). Cardiff, GB: Cardiff University. Roe, E. (2017). Environmental ethics. In The Wiley-AAG International Encyclopedia of Geography: People, the Earth, Environment and Technology Wiley. Roe, E. (2017). Meat-packing. In Human-Animal Encyclopaedia: A geography of co-existence Santa Barbara, US: ABC-CLIO. Roe, E. J. (2010). Ethics and the non-human: the matterings of sentience in the meat industry. In B. Anderson, & P. Harrison (Eds. ), Taking-place: Non-Representational Theories and Geography (pp. 261-280). Farnham, GB: Ashgate. Higgin, M., & Roe, E. (2009). Current strategies for animal welfare in the food service sector in Norway, UK and Italy. In U. Kjaernes, B. Bock, M. Higgin, & J. Roex (Eds. ), Farm Animal Welfare within the Supply Chain. Regulation, Agriculture and Geography (pp. 215-280). (Welfare Quality Reports; Vol. 8, No. Part IV: Chapte). Cardiff, UK: Cardiff University. Roe, E., Kjaernes, U., Bock, B., Higgin, M., van Huik, M., & Cowan, C. (2009). Farm animal welfare in Hungary: a study of Hungarian producers, its food retail market and of Hungarian consumers. In U. Kjaernes, B. B. Bock, M. Higgin, & J. Roex (Eds. ), Farm Animal Welfare within the Supply Chain. Regulation, Agriculture, and Geography (pp. 145-214). (Welfare Quality Reports; Vol. 8, No. Part III Chapte). Cardiff, UK: Cardiff University. Roe, E., & Higgin, M. (2008). European meat and dairy retail distribution and supply networks: a comparative study of the current and potential markets for welfare-friendly foodstuffs in six European countries. In U. Kjaernes, B. Bock, M. Miele, & J. Roex (Eds. ), Consumption, Distribution and Production of Farm Animal Welfare. Opinions and Practices within the Supply Chain (pp. 129-256). (Welfare Quality Reports; Vol. 7, No. Part II, Chapte). Cardiff, UK: Cardiff University. Miele, M., Murdoch, J., & Roe, E. (Accepted/In press). Animals and ambivalence, governing farm animal welfare in the European food sector. In V. Higgins, & G. Lawrence (Eds. ), Agricultural Governance: Globalization and the New Politics of Regulation (pp. 110-125). Oxford, UK: Routledge. Buser, M., & Roe, E. (2013). Creative material practices as response-abilities: entanglings with food insecurities and vulnerable subjectivities. Paper presented at RGS-IBG conference, United Kingdom. Buser, M., & Roe, E. (2013). Creative material practices as response-abilities: entanglings with food insecurities and vulnerable subjectivities. Paper presented at AHRC Connected Communities Research Symposium. ‘Co-Production: Creating Social Justice through Research’, . Buser, M., & Roe, E. (2013). Creative material practices as response-abilities: entanglings with food insecurities and vulnerable subjectivities. Paper presented at 'Foodscapes' Conference, Austria. Roe, E. J., & Higgin, M. (2006). The presence of animal-welfare friendly bodies: an organised or disorganised achievement in the food supply chain. In M. Kaiser, & M. E. Lien (Eds. ), Ethics and Politics of food Wageningen: Wageningen Academic Publishers. Roe, E. J., Murdoch, J., & Marsden, T. (2005). The retail of welfare-friendly products: A comparative assessment of the nature of the market for welfare-friendly products in six European Countries. In Science and Society improving animal welfare Welfare Quality. Buser, M., Roe, E., Dinnie, L., Hall, R., Mean, M., & Hurley, P. (2014). Connected Communities Foodscapes. Connected Communities. Buser, MI., Roe, E., & Dinnie, E. (2014). Foodscapes: bank, bake, grow, eat, talk, share. Executive summary. Cardiff, GB: Foodscapes. Buser, MI., Roe, E., & Dinnie, E. (2013). Foodscapes: bake, grow, share, eat. Foodscapes. Roe, E. J., & Buller, H. (2008). Marketing farm animal welfare factsheet. Wageningen: Welfare Quality. Roe, E. J., & Marsden, T. (2007). Analysis of the retail survey of products that carry welfare- claims and of non-retailer led assurance schemes whose logos accompany welfare-claims. Cardiff, UK: Welfare Quality. Roe, E. J., & Murdoch, J. (2006). UK Market for Animal Welfare Friendly Products. Market Structure, Survey of Available Products and Quality Assurance Schemes. Cardiff, UK: Welfare Quality. Convenor of GEOG2029 Research Methods in Human Geography (Fieldcourse and lecture course). Convenor of GEOG3041 Geographies of Nature. GEOG2008 Critical Human Geographies lecturer.